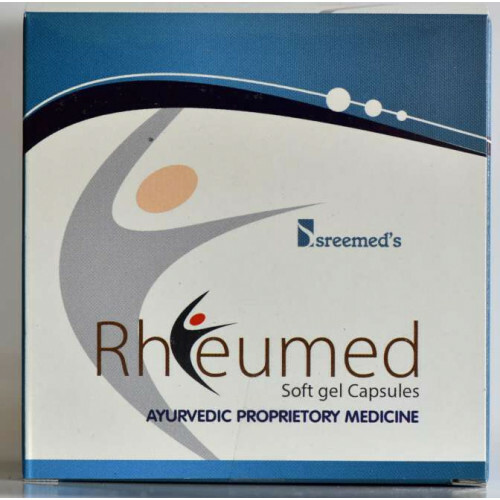 Rheumed is indicated in the first phase of management. 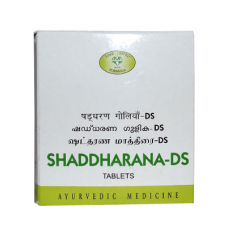 Eranda being the base of preparation, Rheumed can be a choice of medicine in treating the diseases connected with madhyama and abhyanthara ( Koshta) roga margas. 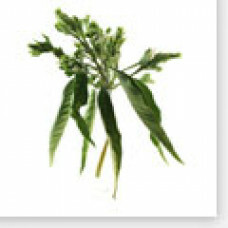 Rheumed is mainly kaphahara and vatanulomana in nature and works in symptoms with Pitha relations. Pitha relation is identified when there is severe pain, pain is intolerable, increased pain in night and acidity. Rheumed is having all the effect of Gugguluthikaka ghritha and can be administered in patients to whom ghee is contraindicated. 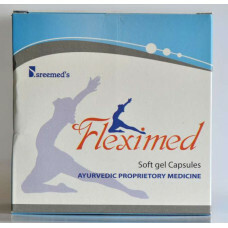 Why Rheumed in the first phase of treatment? Best choice in diseases connected with madhyama and abhyanthara or koshta roga marga. Soolhara ( pain management) property of Eranda. Combination effect of Theekshna ( Kapha Samanam) + Ushna ( Vata Samanam) drugs without aggravating Pitha. 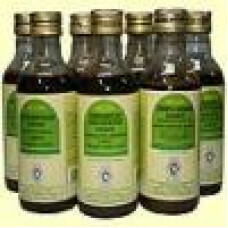 Gugguluthiktaka Oil in Eranda tailam. ROLE OF GUGGULUTIKTAKA GHRITA IN THE MANAGEMENT OF OSTEOARTHRITIS W.S.R. TO KNEE JOINT study conducted by Babasaheb D. Patil1, Manoj L. Sonaj published in IJRAP 4(1), Jan–Feb 2013 concudes the that administration of Guggulutiktaka Ghrita is an effective medicine in reduction of pain, swelling, tenderness and restrictions to movements without any noxious effect which is very important. Rheumed ( NIM- E) some *observed results. *from doctors during their clinical practice. Please note this was not obtained from a clinical study of WHO specifications and not a scientific data with any clinical endorsement. Avoid day sleep, over exertion, junk foods. Use less carbohydrate, less fatty foods with plenty of leafy vegetables, fresh salads and water. Two capsules twice daily before food or as directed by the physician. Benefits, Ingredients, Indications, Dosage, Side effects, Precautions, Research Papers, and FA..